When it comes to matches between Pakistan and India, it is always hard to predict the winner, as both are two of the best and yet most unpredictable teams in the world. The 14th edition of Asia Cup begins on September 15th in the UAE, making this the third time the tournament will be held there. This time, Pakistan, India and Hong Kong are together in Group A, while Afghanistan, Bangladesh and Sri Lanka are in Group B. Despite having lost its ODI status earlier this year, Hong Kong qualified by defeating the UAE in the qualifying final. If somehow both teams manage to make it to the final, then this tournament potentially includes three Pakistan versus India matches. 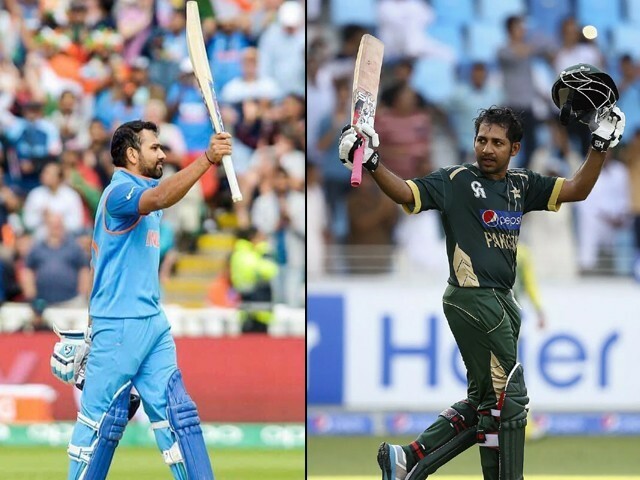 However, the million dollar question remains: will it be India or Pakistan lifting the trophy? The strongest contender for this year’s title is Pakistan, and no, that’s not because Virat Kohli’s absence will leave India with a weaker batting side. While Kohli will be missed and his absence will undeniably drop India’s chances, nonetheless, I would argue Pakistan would emerge the stronger team even if Kohli was playing. What makes Pakistan the likely winner? Pakistan’s pace battery in the squad remains their biggest strength. Currently, Mohammad Amir, Junaid Khan and Hasan Ali would be my choice for the three front line bowlers, while Usman Shinwari and Shaheen Afridi can come into play in case of injury or if the management decides to rest any of the main bowlers. Shadab Khan is a match-winner – he can bowl, bat and field. After all, no cricket fan can forget his glorious catch that ousted Kohli. And while Shadab made it look so easy, I bet any of our other fielders would have dropped the opportunity. His batting also continues to impress, while as an attacking spinner, he can take key wickets when required. 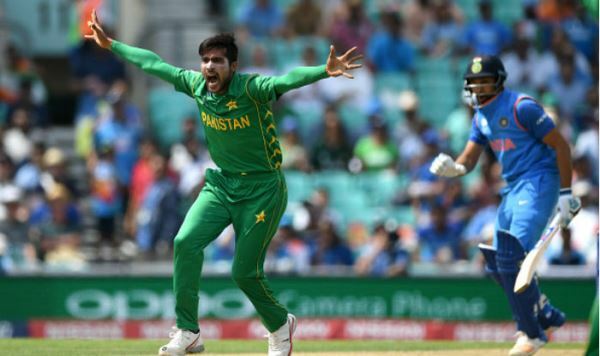 Shadab is unafraid to take risks and is sure of himself, as seen in the way he convinced his captain to risky review in a high pressure match, and these are skills that will come useful for the team when playing against India once again. In short, Shadab is a live wire in the field and can turn the match in Pakistan’s favour with his clever bowling and gutsy batting. Fakhar Zaman will be another key factor for Pakistan. A real asset to the team, his quick runs at the top are very handy, and if he scores a big one once again, then we call all bid goodbye to India. However, as playing dot ball after dot ball puts pressure on the other end, Imamul Haq will thus need to play with a good strike rate to keep play steady. Faheem Ashraf, the bowling all-rounder, has provided this team with some much needed balance. He can be the fourth seam bowler and smash some big sixes as he bats down the order. Pakistan was desperate to find a big hitter, and have finally found one in the shape of Asif Ali. Sarfraz Ahmed and Mickey Arthur should definitely be brave enough to float him up the order when the situation demands it. Lastly, Shoaib Malik is always dangerous against spinners, which is why it will be interesting to see how he plays against Kuldeep Yadav and Yuzvendra Chahal. If Pakistan can negate this spin combo, nothing can stop them from beating their arch rivals! Looking at the Indian team, openers Rohit Sharma and Shikhar Dhawan will have to perform well if India is to be successful in this tournament, for they will have to fill the void left by Kohli. Mahendra Singh Dhoni, the most experienced player in the current Indian team, has lost his power-hitting ability and is no longer the Dhoni of old who could change the match with his swashbuckling batting. Jasprit Bumrah and Bhuvneshwar Kumar will try their best to restrain Zaman, for once he gets going there’s no mercy for the bowlers. Thus a lot of responsibility rests on the shoulders of this Indian bowling pair. 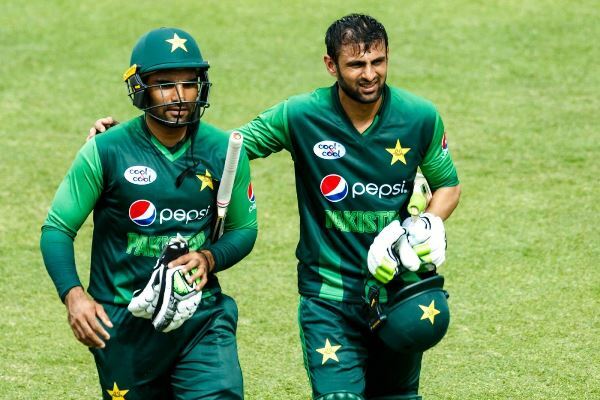 Bowling continues to be Pakistan’s strength, but with Zaman, Malik and Sarfraz and the addition of hitters like Asif, Shadab and Ashraf, Pakistan’s batting lineup looks more balanced than ever. The only thing the management needs to do is be smarter and less rigid about the lineup. There’s no point in sending Babar Azam when you are only two down with 15 overs to go. One thing I absolutely cannot wait for is the battle between Sharma and Amir. However, perhaps calling it a battle would be an insult to Amir, as he has dominated Sharma throughout their interaction and made him eat his own words. After all, calling Amir a “normal bowler” resulted in two ducks and few nice words for the Indian opener. 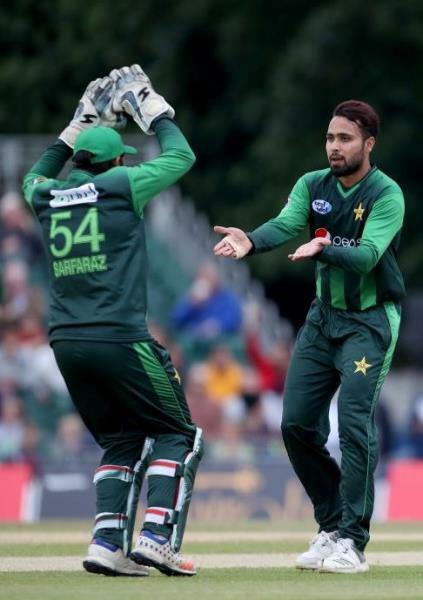 In total, Amir has dismissed Sharma three times and has bowled 49 balls, on which Sharma has been able to score only 19 runs. Ordinary bowler? Yeah, right. At the end of the day, the ‘favourite’ tag has never really worked for Pakistan. On the contrary, Pakistan end up doing well when they are the underdogs and deliver subpar when they are the favourites. So to the men in green: please, do not relax or underestimate your opponents, because Pakistani fans cannot wait for you to not only bring another cup home, but also experience multiple victories over India! When it comes to matches between Pakistan and India, it is always hard to predict the winner, as both are two of the best and yet most unpredictable teams in the world. However, one factor is certain: after experiencing a humiliating defeat in last year’s Champions Trophy final, despite being overconfident of a win, no former cricketer or the likes of Rishi Kapoor will be making statements declaring who is the father and who is the son. A little biased article, you cannot put India completely out of the game. They are also coming to play with strong batting lineup even without Kohli. Dont forget in UAE almost all Asian teams can perform good because of home line condition. It matters not who wins ….. what matters is that the game should be played well so that those watching can enjoy the game and clap for both the winner and the loser. It’s not bad to support your team but author seems more excited and have tried to put his thoughts. But let’s wait for the day and see who is playing better on the day. Don’t underestimate Indian bowling lines specially the fast bowlers who are not the same some times back. I feel Virat is not good captain but he is one of the best batsman right now. The author seems to over excited. This indian team is the same team that thrashed SA in SA. Even in England they won the T20 & lost the ODI very closely. Not only is it a biased article, it gave no credit to the other teams such as Bangladesh (against whom Pakistan lost) or Afghanistan (against whom Pakistan had a close shave – winning with barely 3 balls to spare). As far as India is concerned, we know what happened.